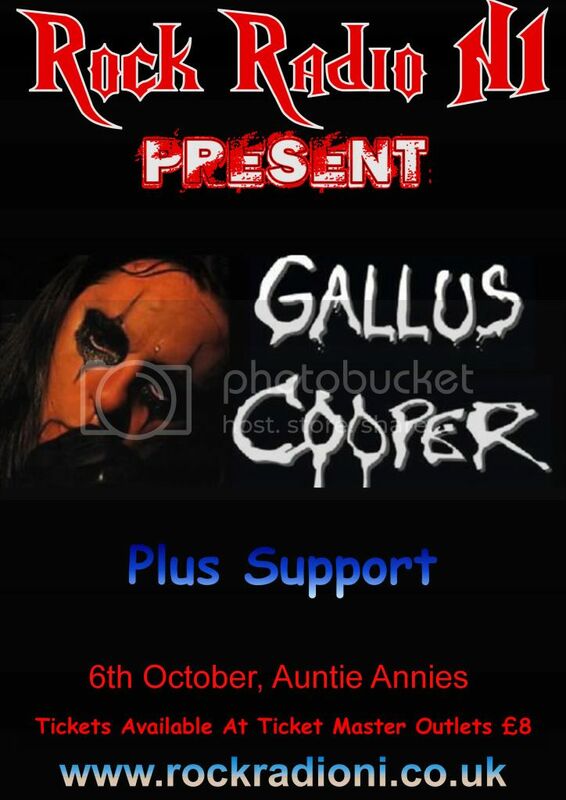 UK-based Alice Cooper tribute band Gallus Cooper, formed in 2007, have build a solid reputation throughout Britain for their accurate renditions of many of Alice Cooper, Alice Cooper Band and shock rock’s best songs. As their reputation has spread they have been playing throughout the UK on a regular basis. One of their main highlights so far has been “Rock Radio 96.3fm” Halloween Ball in Manchester 2010 in front of 1,200 people. The show continues to evolve each year, with more tracks being added and expanding the theatrical aspects of the shows including appearances from the snakes used by Alice Cooper himself, such as “Lady MacBeth” and “Dali”, the snake used during his 2011 U.K Tour – a big thanks to Bill Crowe). Straight jackets, electric chairs, on-stage dancers and Nurses make this an unforgettable tribute show.